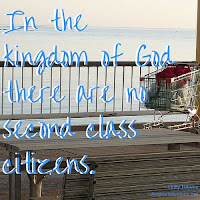 Let’s be real: In the kingdom of God there are no second class citizens, but is that actually the mindset you and I live from week in and week out? 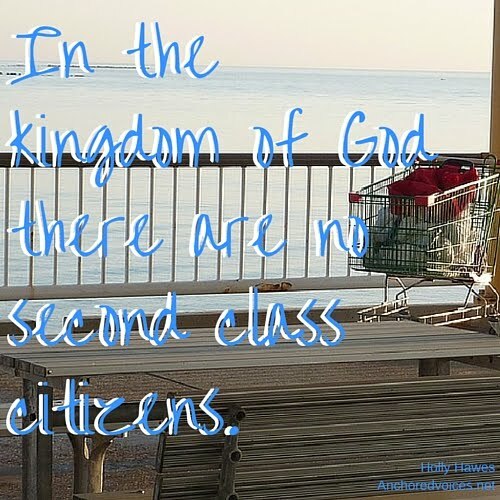 One way God taught me about the equality of His kingdom was through a series of events I couldn't have orchestrated. Picture this, a group of teenagers in matching puke orange shirts pull up in a 15 passenger van. We’ve traveled 4 hours and slept on floors for days. Our mission: Help out at the homeless shelter by serving lunch and talking to the chronically homeless men. As a 16 year old who honestly wouldn’t know where to find drugs if I tried, I sat down and started an awkward conversation. I don’t remember much, if we prayed for anyone, gave out Bibles, or felt we were “Effective” that day. I do remember the giant man who was a participant in their recovery program at the time. We washed dishes and chatted together. When he found out that the country hicks in the pumpkin t-shirts hadn’t ever tried Krispy Kreme Donuts he showed us how to microwave the donated day-old delicacies until they were perfectly melted. He didn’t care that we really had nothing in common, or that we would have never crossed paths, except for Jesus. Our Savior was all we had in common. Fast forward ten plus years. I’m a Bible school graduate, who has mostly worked at churches, and took a job working at a local homeless shelter helping women get their GED. A few weeks in the ceiling in my work space was leaking ; when the towering maintenance worker walked in I realized it was the same man I had met years earlier. While our lives had been incredibly different, we were now on the same team with the same purpose. All of our differences paled in comparison to the common goal. 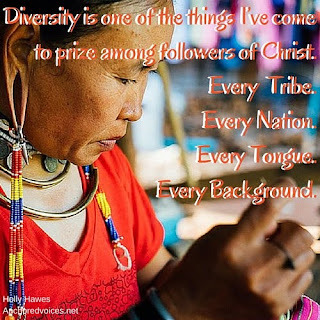 Diversity is one of the things I’ve come to prize among followers of Christ. Every Tribe. Every Nation. Every Tongue. And may I add, Every Background. There is no place, choice, or story that is too far for God to make new. I know Christians who have lived through horrible things and made destructive choices. Jesus saved them and changed them. It’s usually pretty dramatic. I know Christians who lived a boring, but self-righteous life. Jesus saved them, too. This is what God’s people look like. Unity doesn’t mean we’re the same, it usually means the different together working for the same purpose. But, on the first day, it’s awkward. 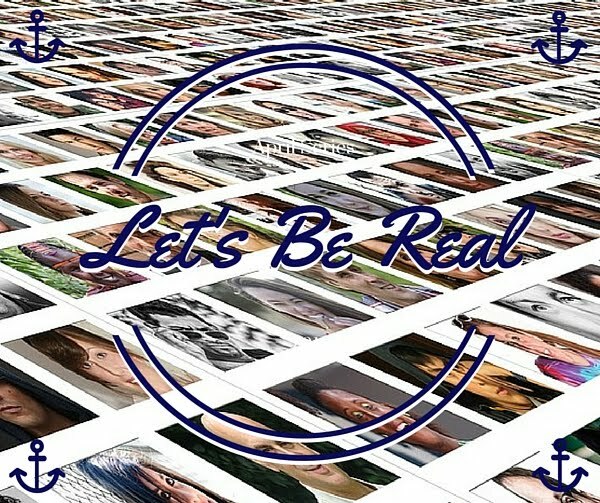 You may meet someone at church who is incredibly different from you. Perhaps the group that always gets together struggles to be inclusive. Maybe, inviting in opinions different than your own pops your comfort bubble. But what if instead of fear we sought out those God has sought already. I wonder what it would be like if we looked at our communities as made for diversity. Why don’t we look for who is being left on the sidelines? Will we seek out who needs to be welcomed? Let’s ask in our churches, neighborhoods, and communities, “Is there an age range, race, or stage of life that has been excluded?” Then let’s draw them in, and see how beautifully God enriches the lives of us all. God didn’t leave me out, I’m not about to pretend I have the right to decide who is “in”. Readers, What do you think are the biggest challenges to being welcoming and hospitable to those different than you, and how do you overcome them? 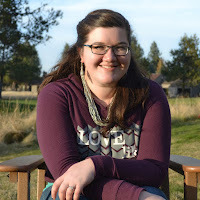 You can find more from Holly at her blog Called to Restore, and see all her posts on Anchored Voices under the tag Holly. Love this! It takes courage to look outside our comfort zone and ask God where He wants us!